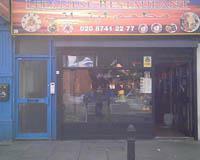 Lebanese Taverna is a Lebanese Restaurant & Takeaway based on 38 Fulham Palace Road in Hammersmith. 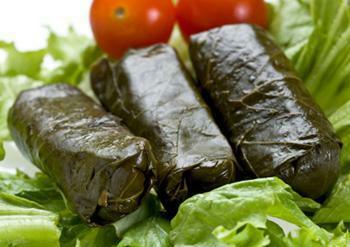 We serve a wide range of delicious Lebanese food and offer online ordering and table booking. Welcome to the new website for The Lebanese Taverna Express based on Fulham Palace Road in the Hammersmith area of London. This popular restaurant and takeaway was established in January 2002. The Lebanese Taverna Express family are famous for their restaurants and every member of this family has been a chef since the 60’s. 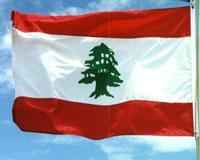 We serve Authentic Lebanese food - you can't compare it to any other restaurant! We are proud of all our dishes, but especially Bamia and Loubia Bilzeit - made freshly every morning. To help you enjoy our tasty Lebanese cuisine, we are pleased to offer both Online Ordering and Online Table Booking. To join us please visit our Reservation page and fill in the form. If you would prefer to enjoy our food from home, please visit our Takeaway Menu. View our Special Offers to see how you can save money on your first Online Order. We are open 7 days for table bookings and takeaway 12pm - 12am. Join our free gold club and we will give you this voucher for 15% off a takeaway order over £15. Miniumum order value of £15. Can only be used on www.lebanesetaverna.co.uk. Cannot be used in conjunction with any other offer. Here at Lebanese Taverna a Lebanese Restaurant & Takeaway in Hammersmith, we have a wide range of menu options. 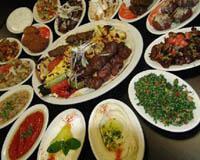 Serving delicious Lebanese food, we are sure we have something for you to enjoy. It's possible to deliver over 1.5 mile - please confirm the value of order and delivery charge by calling the restaurant on 02087412277 after you complete your order. The best Lebanese food in London. Full stop. Awesome food, very friendly and helpful staff. Looking forward to our next visit. Easy and great delivery service. Food quality is good.